Jeff Sanders, the GM, is a professional & courteous gentleman. Tim Baum is hands-down the best F & I manager in the business. He will understand your driving habits & without pressure present coverage options that make sense & fit your budget. Howard Leopold was no pressure as we looked at the vehicle we had picked out. My wife & I left feeling taken care of & not "sold"! I highly recommend this dealership with the sincere & dedicated people here! These guys really helped me out, I can’t say enough good about them! Adam is amazing and Tim was great, too. Highly, highly recommend! I recently bought an Acura TLX from Sussman Acura and had a wonderful experience working with Adam! He is very accommodating, patient, and throughout my experience, he made sure I was well informed and comfortable. Adam took his time to give me various choices/options until I was sure on my purchase. They did not have the color I wanted in stock at this location yet he made sure to get me exactly what I wanted and was diligent in the process. Thank you Adam for all of your help and for being very sweet and helpful! Acura Sussman is the only Acura dealership I will ever do business with ! Guy and Adam both went above and beyond my expectations. Adam the head sales agent goes out of his way to ensure everything is executed to your satisfaction including getting you a great deal ! They are Customer service focused , knowledgeable and eager to assist you through out your transaction. The dealership has a tight close niche family feel and they truly treat you like you are one of theirs ! I Highly recommend Acura Sussman of Jenkintown. They will not disappoint ! My salesman was Adam Bertles, and i couldn’t have been more pleased with his outstanding customer service and exemplary knowledge of the Acura brand. We chatted, he got to know my likes/dislikes, and found a car that was perfect for me! I am a new mom, and trying to find the time/balance to purchase a new car was rough, adam worked after hours on not one, but TWO occasions to accommodate me and make my experience a a smooth one. He was very personable and connected all the while still giving me enough time to deliberate on my own without being pushy, overbearing, or overly aggressive. Even after the purchase was complete, he has reached new out on multiple occasions to make sure i was still satisfied or had any questions about my new car. In the future, i look forward to working with Adam and the Sussman Acura family! Thanks again for everything!!! HONESTY REALLY IS THEIR BEST POLICY.....I took my 2006 Acura MDX to Sussman Acura for service. Robin in the Service Department provided a detailed list of all that was wrong with my car. These problems were exactly what another mechanic had told me a year ago. She advised me not to put $2,500 into a car that was 13 years old with over 180,000 miles. I reviewed their previously owned vehicles listed on their website. I spoke with salesman, Howard Leopold, and Finance Manager, Tim Baum, who facilitated the purchase of my new vehicle. Yes, they were welcoming, personable and charming. What car salesperson isn't? What stood out to me was their honesty. As previously stated Robin in Service told me the same thing that another mechanic told me a year age. Both Mr. Leopold and Baum were honest in explaining the challenges of finding a creditor with my less than stellar credit rating. Mr. Baum worked tirelessly to find the best possible deal for me. Sussman Acura prides itself on servicing the customer. I am a true testament to that. I went in for airbag recalland was in there only an hour. Robin in service was very pleasing. She told me everything I should do to have my Acura up to par. I will be going back for more services. Cashier and another associate in service were also nice. Great place. Recently got an Acura and Megan was great. She made the process so quick and easy. Megan kept me informed through the entire process, since I asked to have things be done when I was not there so neither of us sat there for hours. She texted me throughout and even sent me pictures when the car came in! 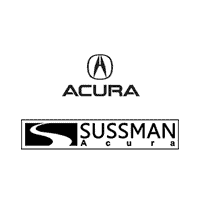 I would recommend Sussman Acura and Megan definitely!